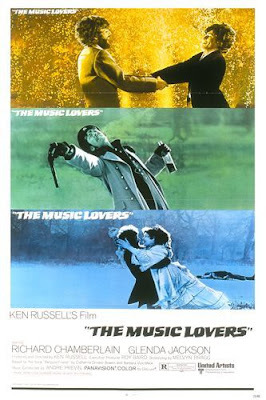 The day before the sad news of British filmmaker Ken Russell's death, I posted this review of his thrillingly over-the-top Tchaikovsky biopic The Music Lovers over at Cinema Sentries. Like much of Russell's work, this film hasn't got the respect it deserves and was dumped onto MGM's Limited Edition burn-on-demand line. One hopes he receives more recognition in the wake of his death.